This is our unique one day class for families expecting an adopted child. You will learn child development, feeding, and a variety of baby, toddler, and adoption topics from a Registered Nurse and NAFA families. 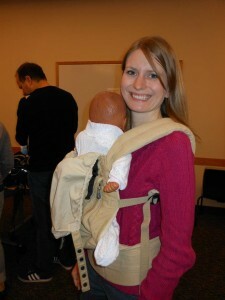 The class is located on the Legacy Emanuel Hospital campus and runs from 8:30 am- 4:30 pm. The cost is $75/family (grandparents can come too!) which includes a complimentary one year membership to NAFA.